Google Korea said Monday that “fine dust” topped the list of most popular search keywords over the first half of this year among South Korean users, rising sharply from 12th place for all of 2017. 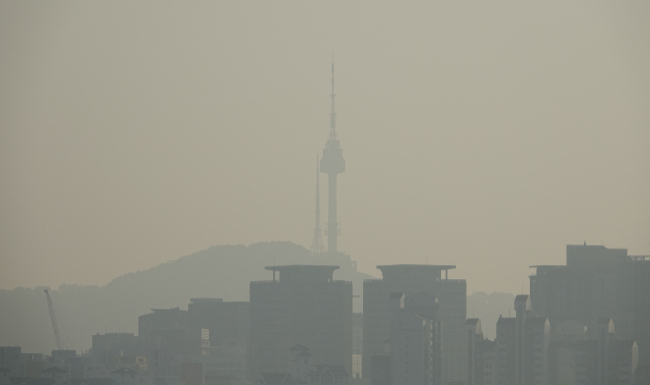 The Korean-language service of the U.S. search engine said the result apparently indicates a rising number of South Koreans are becoming more aware of problems sparked by fine dust. Fine dust refers to airborne particles that are smaller than 10 micrometers and have been known to cause various respiratory problems while also affecting the body‘s immune system. The second-most popular keyword was “Along with the Gods,” which was a popular local movie that raked in a whopping 14 million viewers after opening in December last year. Its sequel will be released later this year. Other entertainment content such as “Heart Signal Season 2” and “Black Panther” followed in the third and fourth spots. PyeongChang Winter Olympics came in at ninth place, and cryptocurrency stood at 16th place, the latest findings showed.